Sikkim is hands down the most peaceful state in India, but today they are facing unprecedented violence in the foothills of Darjeeling, just because they have supported the Gorkhaland statehood. 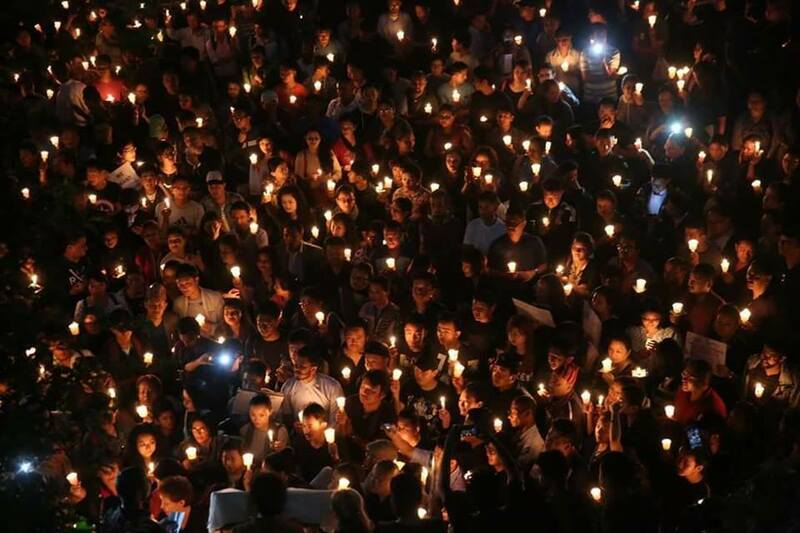 This editorial is dedicated to the kindest and most generous people of Sikkim who have chosen to forge their own comfort, safety and security in support of justice, respect and constitutionally guaranteed rights for the Gorkhas of Darjeeling. As the protest against the proposed imposition of Bengali language in intensified in Darjeeling, it was the youths of Sikkim, especially those from Sikkim University who was the first to join in solidarity. 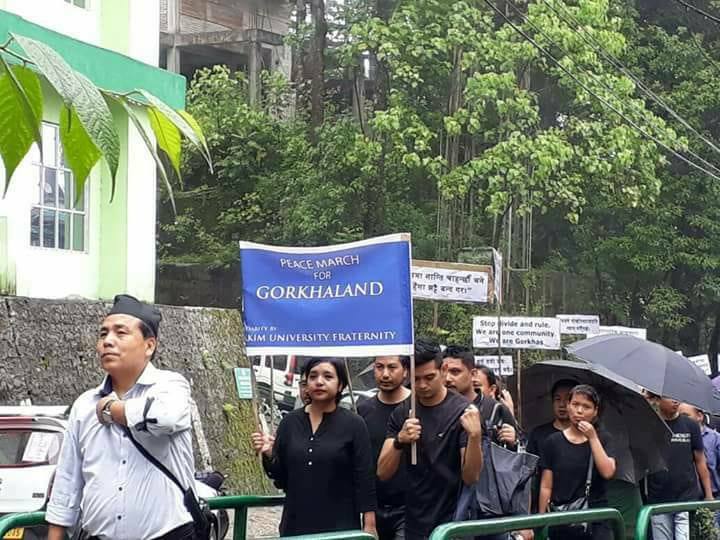 Even before the student’s union from Darjeeling had realized the travesty of such an attempt at linguistic imperialism, it was the students from Sikkim University who voiced their outrage and their concern in favour of the discriminated Gorkha communities of Darjeeling. The outrage by students in Sikkim was followed by vocal protests by members of Sikkim Sahitya Academy members. The intellectuals in Sikkim could perceive the unfairness meted out to the Gorkhas of Darjeeling, and the injustice that was being perpetuated towards the Nepali speaking people, who are a linguistic minority in West Bengal. Joining the voices of the masses, none other than the Chief Minister of Sikkim Dr Pawan Kumar Chamling himself stood resolutely in favour of the Gorkhas and the Gorkhaland statehood cause. He highlighted the fact that demanding a new state was a right provided under the constitution of India, and that the Sikkim legislative assembly had passed a resolution to that effect in 2011 itself. 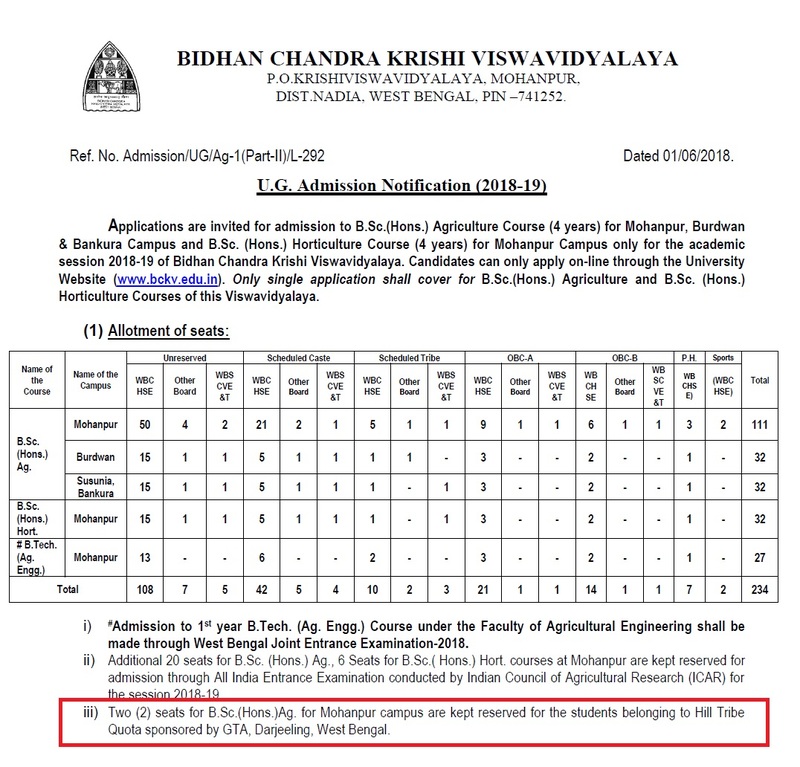 This is significant because the west Bengal government in a white paper published in 1986 have stated that the Darjeeling region belongs to Sikkim, so the only state which has any legal claims over our region is Sikkim and they don’t have any objection to a new state of Gorkhaland. 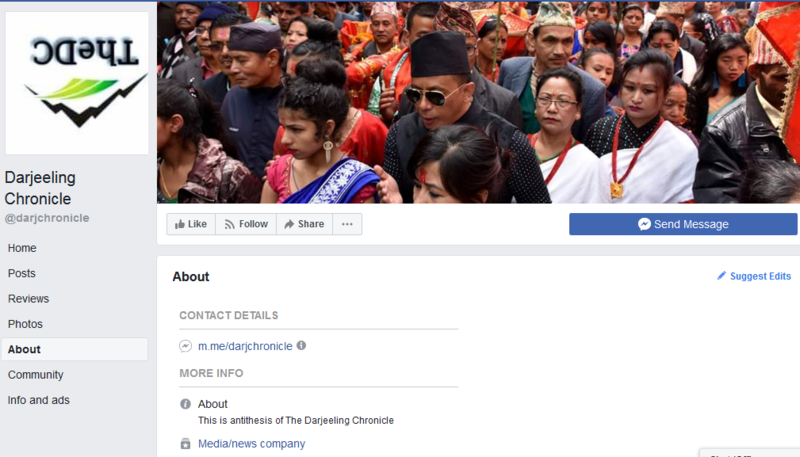 To be honest, as a father figure to all the Nepali speaking people across India, we expected nothing less of Mr Chamling, and through their unflinching support Mr Chamling his entire cabinet and elected representatives proved to the whole nation that Gorkhas of Darjeeling are not orphans. 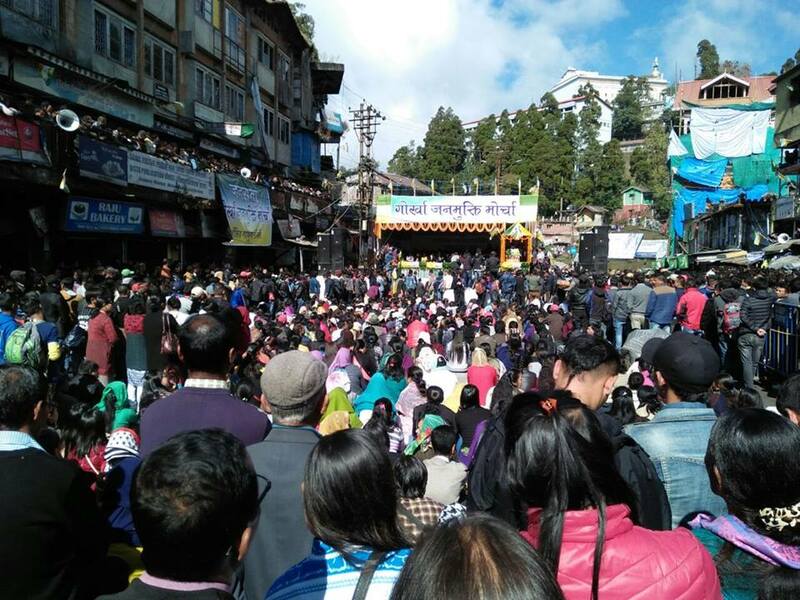 When local news channels were clamped down, and internet was shut off in Darjeeling, it was the journalists from Sikkim who told the world what was happening in Darjeeling. It was through the journalists in Sikkim that India and the rest of the world became aware of the horrors that were unfolding in our hills, tarai and Dooars. When Kolkata based news channels were spewing their lies, our friends in media in Sikkim were sharing the truth and the actual ground realities. 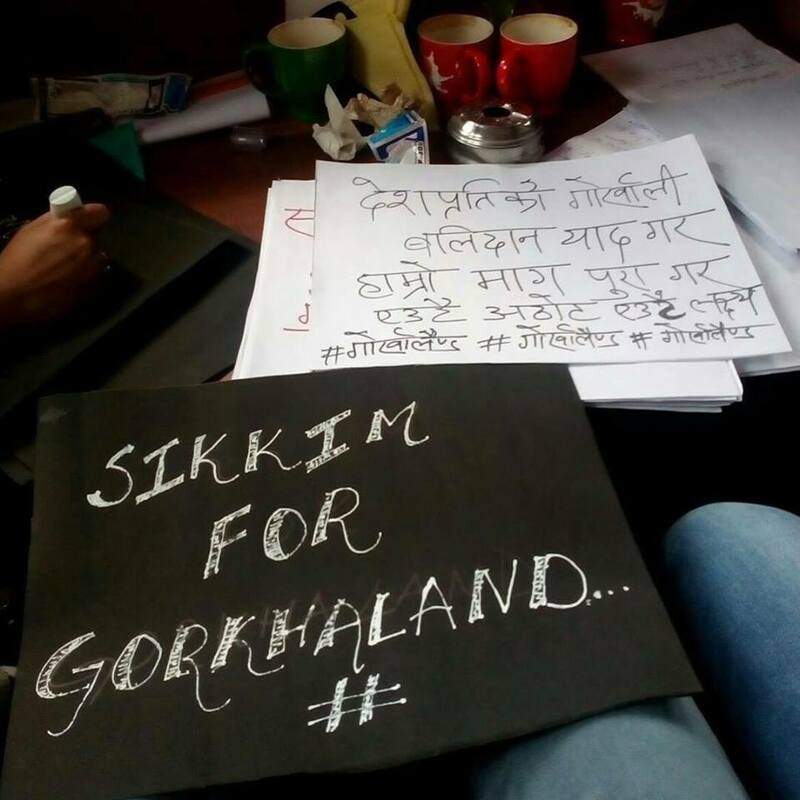 Social organization across Sikkim individually, and also under the umbrella organization “Concerned Citizens of Sikkim” organized mass rallies in support of Gorkhaland and have continued to provide humanitarian aid to those in Darjeeling region who need it the most. 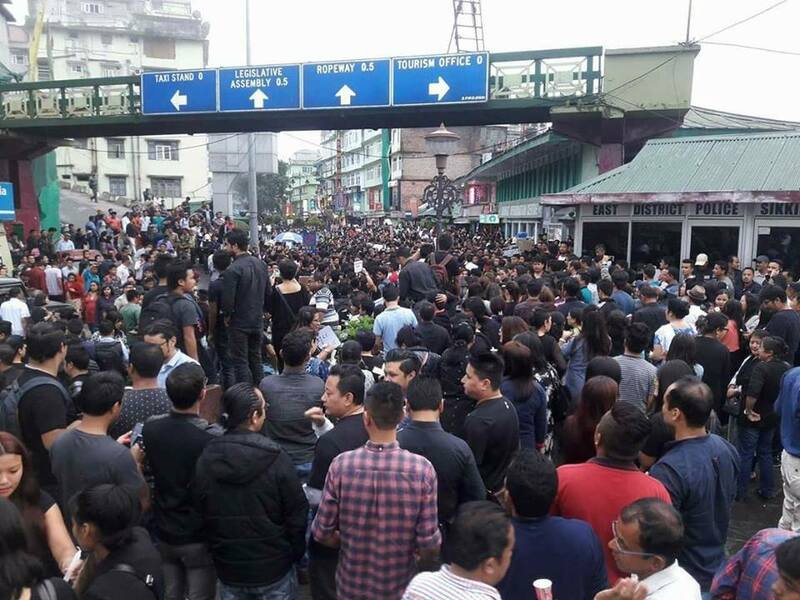 While the TMC cadres in Darjeeling region were still marauding over their positions, it was the Sikkim TMC President and General Secretary Wangchuk Lepcha who had resigned from their posts in protests against the violence perpetrated by the Bengal government, and in support of Gorkhaland. Through our toughest times, the kindest people of Sikkim have stood by us and we cannot begin to thank you for all your help, support, solidarity and camaraderie. However, this show of support has not gone unnoticed across the nation, and particularly so in the foothills of Darjeeling. Driven by their sense of parochialism and chauvinism various anti-Gorkhaland groups and individuals have targeted all hill bound vehicles, particularly those from Sikkim. Essential supplies to Sikkim along with Darjeeling were cut off, and hill people continue to be targeted in Siliguri and surrounding areas. But undeterred by these cowardly attacks, people in Sikkim have stood unwavering in their support for the Gorkhaland cause and the people of Darjeeling, Terai and Dooars. While Sikkim will perhaps gain nothing out of a new state, it is in their show of solidarity towards our cause and our people that their love, care and concern gets reflected. As people from Rhenock to Singtam, from Lhachung to Mangan, from Dikchu to Jorethang, from Yuksum to Tashiding to Legshep to Namchi stand together with us, we feel emboldened and humbled. Emboldened in the knowledge that we have our brothers and sisters in Sikkim who have got our back, and humbled in the realization that blood will always and forever be thicker, than everything else. For we were one people before, and we remain one – united by centuries of our shared history, culture, custom, language and emotions. 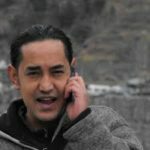 In the midst of it all, we lost one of the most vocal supporters of Gorkhaland movement Shri Nar Bahadur Bhandari and the people in Darjeeling have felt his loss as much as the people in Sikkim. He was not just a politician par excellence but for us a true friend who was always present with his helping hand. We not only mourn his loss but hold him dear to our hearts – for he was a part of our family. On behalf of Darjeeling and its people, we thank you all and we promise you that when a new state of Gorkhaland is formed, we will be a worthy neighbour, who will not have forgotten all of your kindness, help and unflinching support. Be the first to comment on "Dear Sikkim – We Are Indebted To You"